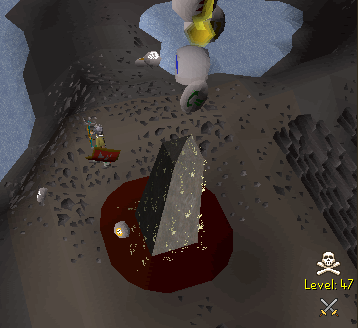 The Trident of the Seas can now cast its spell on players in Castle Wars and the TzHaar Fight Pit. When a player dies while carrying essence pouches, the pouches no longer vanish automatically. They can now fall to the floor, visible only to their owner. High-level farmers can now get more roots when digging up a tree patch. One extra root is given for every 8 levels above the tree's Farming requirement, up to a total of four. For example, a yew tree has a Farming requirement of 60, so it gives two roots at level 68, three at 76 and four at 84. Stat-boosts are respected. When picking fruit from a Farming patch, your character will now automatically continue picking until the patch runs out of fruit or your inventory fills up. This applies to fruit trees, bushes, cacti, mushrooms and calquat trees. The Music Loop button now remembers its setting over logout. Proselyte cuisses and tassets have had their Prayer bonus increased from +5 to +6. These items are leg-armour, in case anyone's confused about the names! Most importantly of all, the bunnies south-east of Rellekka can now drop the rabbit bone required for the Odd Old Man's list. We'll release some more next week. We've made some further adjustments to the granite maul's special attack button to make it more reliable when spam-clicked, and to fix the button's highlight which wasn't deactivating correctly. The graceful gloves can now protect you from harm when picking belladonna. Old School RuneScape's birthday event is staying open for another week. Remember, the cake will be deleted when the party ends. 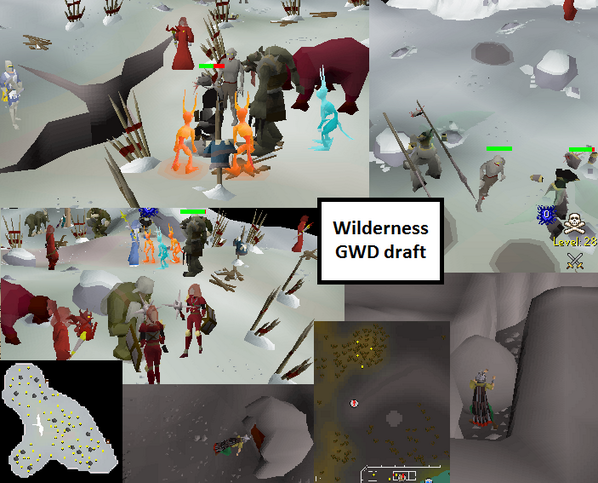 Mods Reach, Ash and John C have been working away on the Wilderness Rejuvenation project. So far, we're about finished with the lava dragons, the new shields, the dragon pickaxe, the Fountain of Rune, the God Wars Dungeon expansion and the extra runite rocks. Mod Reach is finishing off the high-level resource area, and is now working away on the new bosses. So far he's created a seriously terrifying bear that roams the woods, doing whatever bears do in the woods. 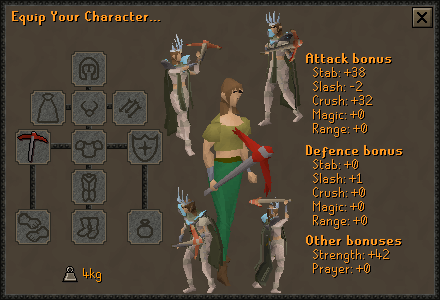 Meanwhile Mod John C has been writing loot drops for the new monsters and buffing the drops of older Wilderness bosses, and Mod Ash has rewritten every pickaxe script in the game to recognise the new dragon pickaxe (and automatically handle any future pickaxes you might ask us to launch). We've still got a long way to go yet, with various other bosses to create, plus the loot bag, the Edgeville lever, some drop-mechanic changes, etc. It's looking promising for mid-March; we'll be able to tell you more accurately when we completed more of the work. Whenever we've got something cool working, we'll usually tweet pics straight out from our Twitter channels - @JagexReach, @JagexAsh, @JagexJohnC and @JagexMatK - so do keep following us if you want to see the latest progress. We'll try to show off our Wilderness progress so far in today's livestream, on Twitch at 5pm GMT. Come on over to the forums to discuss the update.